This is just a quickie sim I made to test whether the pedestal fan would cool my pc enough whilst in cas. It worked so that’s fab. The result is Tiana’lianne Sevanne. The name comes from a character I used to play in d&d, iirc she was an elven arcane archer. I just made up the name. She was a kickass character. CmarNYC’s pointed ear sliders would work great on her imo. You will need some sliders and mods in order for Tiana’lianne to look the same as she appears in the photos. Not all are necessary so it’s up to you which ones you download. NOTE: AwesomeMod is needed mainly to increase the max amount of sliders allowed in the game. If you don’t plan on touching Tianalianne’s sliders in cas then you can use another Max Slider Increase hack instead of awesomemod. Sz3 has a couple and I believe Jonha has one at MTS as well. You can find a link to the right with info on them. 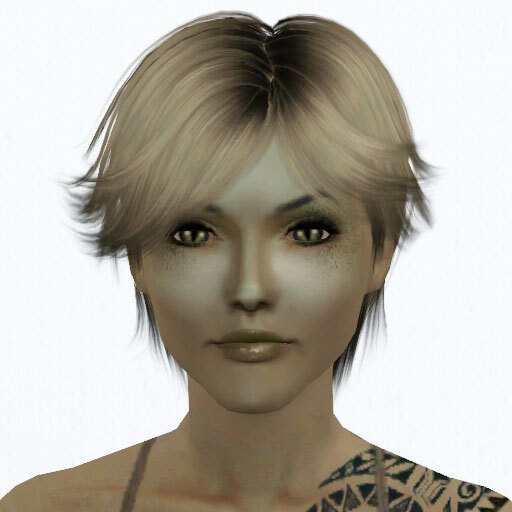 When you load up CAS you will find her in the Pre-made Sims menu under Young Adult. As usual I am using Skins by Peggy – Links at the right. 11/01/10 ADDED LINK TO TATTOO AND SOFTGLO sorry guys! 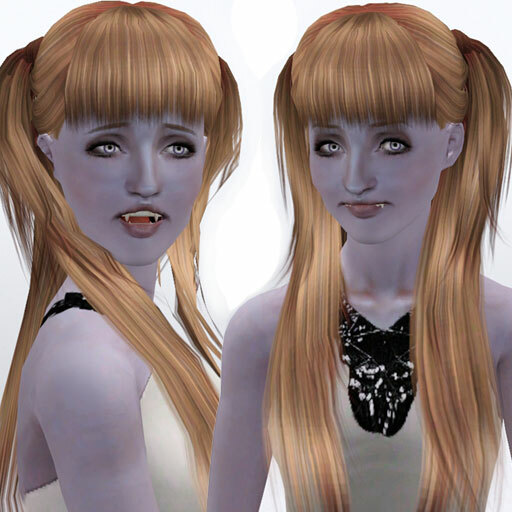 Here is my latest sim, she was made today whilst I was taking a break from Kim and Damon Salvatore (Ian Somerhalder). More on them later, though. Irtana is a Goblin Queen. You will need some sliders in order for Irtana to be the same as she appears in the photos. I’ve included both the .sim file and the simpack, you can use whichever you like. Drama Dress is by v-ware at mts. Hairs are by Savio and Peggy did the Formal hair. As usual I am using Skins by Peggy. Link at the right. Thank you for your gift, Oreonica! I hope you like the sim I made for you by way of thanks. As usual most of the custom content has been removed before uploading but you can find details in the photos and there are links in the right menu. 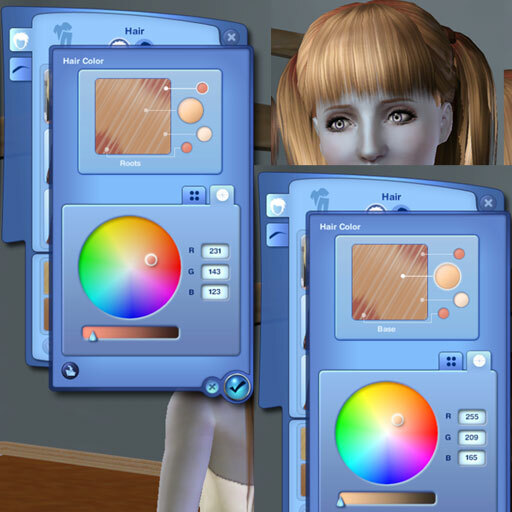 On an unrelated note, I have SO many photos of sims I need to upload on here. Ack. It’s gonna take me forever.